Will The Law Of Supply & Demand Ever Matter Again? 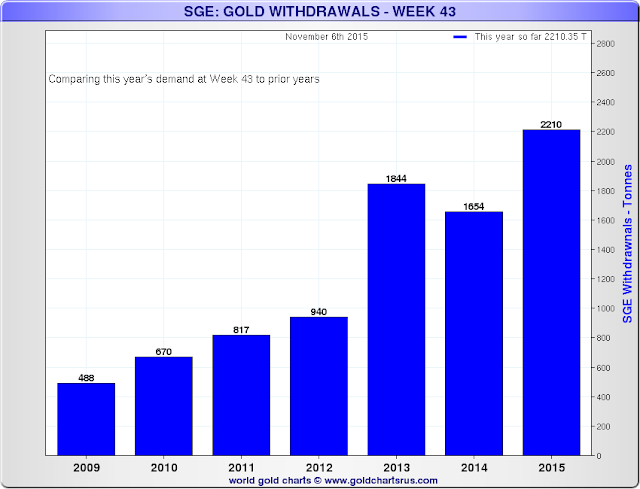 The charts below reveal a dramatic decrease in physical gold on hand in the U.S. to back up all the paper derivatives floating out there. 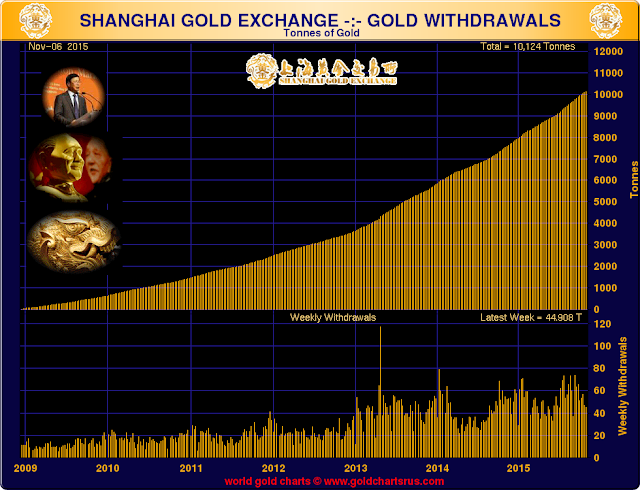 The physical gold has flowed from West to East over the last few years. The price of gold has been driven to 5 year lows through the use of paper derivatives, as the physical supply isn’t keeping up with the demand by any stretch of the imagination. The question is how long can this go on? In a real market, constrained supply and huge demand means higher prices. Higher prices would reveal the fallacy of central banks having everything under control. Can bankers manipulate derivatives forever to keep the price of gold from reaching its true fair value?